Start a tiptop magical 2 days Luxor & Aswan trips from Marsa Alam to enjoy an unforgettable experience inside the historical part of Egypt that is depicted in Luxor & Aswan attractions. It is a unique adventure through which, you’ll get to know everything about the terrific history of Egypt while visiting Valley of the Kings, Hatshepsut temple, Colossi of Memnon, Karnak temple, the High Dam, the Unfinished Obelisk, Philae Temple, and much more. Now it is a suitable time for you to change the whole scenario of your life. After having your breakfast at your hotel in Marsa Alam, our representative will meet you to start your unforgettable 2 days Luxor & Aswan trips from Marsa Alam with a private A.C. car through which you’ll head to Luxor where you’ll start with the majestic Valley of the Kings. It is just like a story you hear before sleeping but in the actual life. 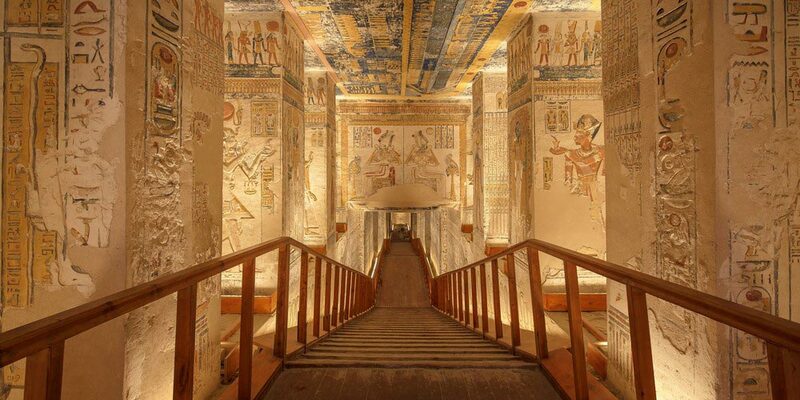 You’ll be face to face with the tombs of the great ancient pharaohs of Egypt. Now, you’ll move to visit the magical temple of Hatshepsut. Then, you’ll visit the two astonishing statues of Amenhotep III. They are called Colossi of Memnon. They are two amazing statues that depict the true meaning of strength and power. You’ll have your lunch at an oriental restaurant with a Nile view and then head with your professional tour guide to visit Karnak Temples which actually contain three impressive and it is considered the largest temple ever. You’ll be transported to Aswan by a first class train in order to spend a great night at a 5* hotel. In the morning, you’ll have your breakfast at your hotel then you’ll check out. 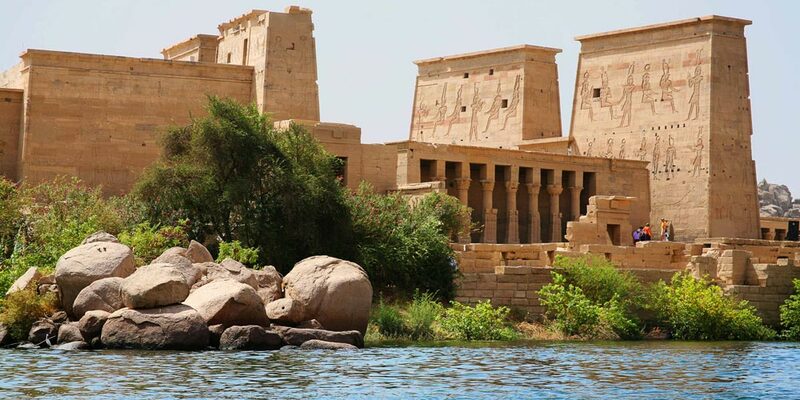 You’ll find your tour guide waiting for you to continue the second part of your Luxor and Aswam trips from Hurghada though visiting the spectacular attractions in Aswan starting from the High Dam that is known with its attractive history and its great impact over the life of the Egyptians. Then you’ll visit the outstanding Unfinished Obelisk, that has been removed under the commands of queen Hatshepsut because of the cracks that happened in it because of some natural elements. 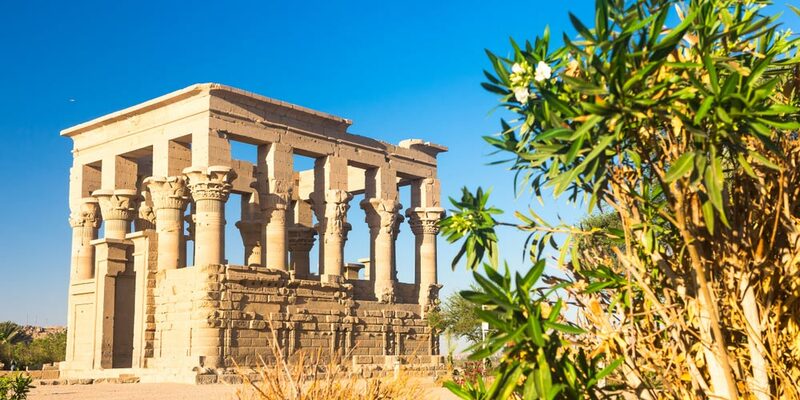 You’ll have your delicious lunch meal and then head to visit the mesmerizing Philae Temple that has been removed. Also because the government got afraid that it may be damaged by the flooding. A unique one represents the temples of the Ancients, where they were worshiping different Gods. It was dedicated to Isis. After finishing your tour, you’ll be transferred by an A.C vehicle to your hotel in Marsa Alam. Our expert tour guide will accompany you all through your trip. Mineral water on board the vehicle during the whole of your trip. Things that haven’t been mentioned in the itinerary.